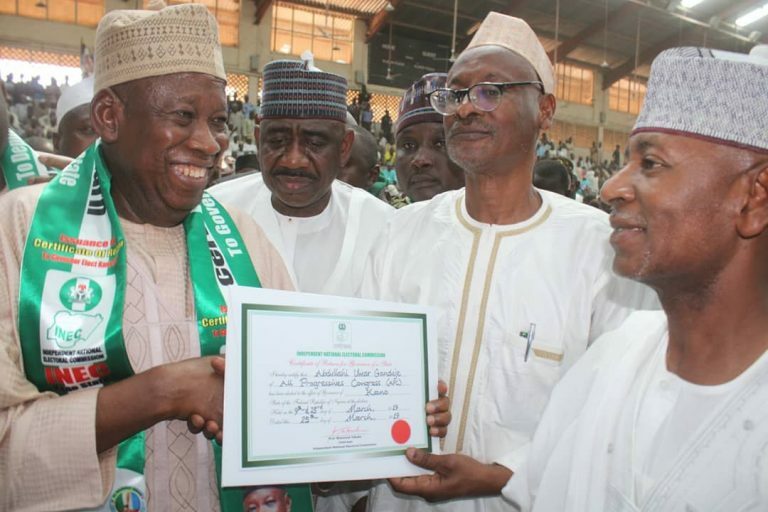 The Independent National Electoral Commission (INEC) has issued certificate of return to Abdullahi Ganduje, the incumbent governor of Kano state. 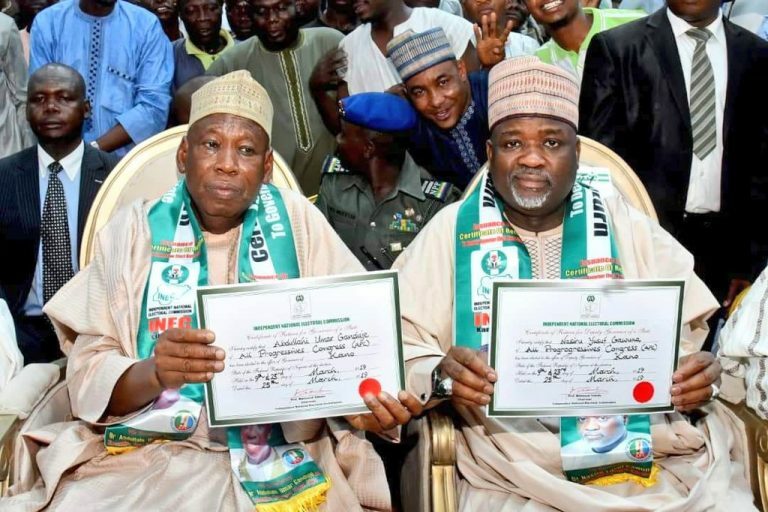 Ganduje who contested the election under the All Progressives Congress (APC), picked up his certificate, alongside Nasiru Gawuna, his deputy, and lawmakers-elect into the Kano house of assembly. The deputy look more lively than him. Babariga bullion van alias Gandollar hehehehehehe.... I fear who no fear you. Keep enjoying the stolen mandate while it last. 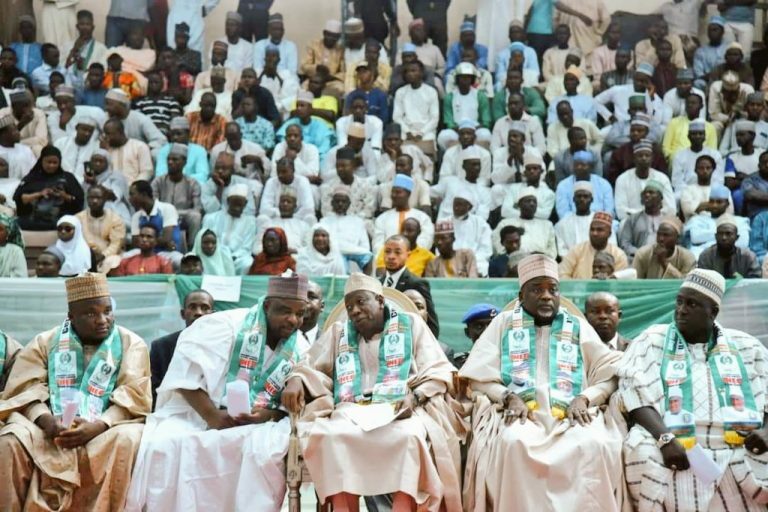 Who else notice the bribery video and corruption case of Ganduje has been swept with that mighty broom of APC we saw erected at the entrance of FCT lolz. More lively - livelier. 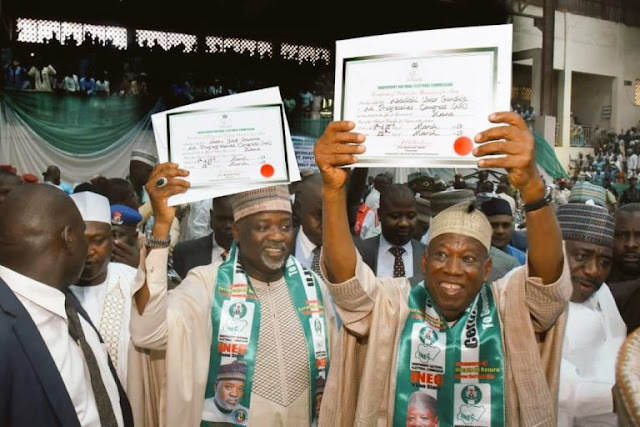 O boy, you no do comparative and superlative? Abeg people, make una hell this boy laugh. The loss of PDP still dey give am headache. Sorry boy, stay with the pains for another four years or more. Las las, you will be fine.